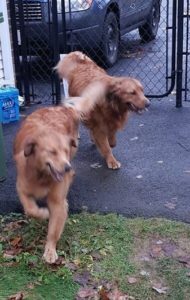 Additional Notes: FEMALE: Golden Retriever, adult, wearing a cloth and chain martingale collar. FEMALE: Golden Retriever, adult, wearing a cloth and chain martingale collar. Found roaming on Nov. 3/18.